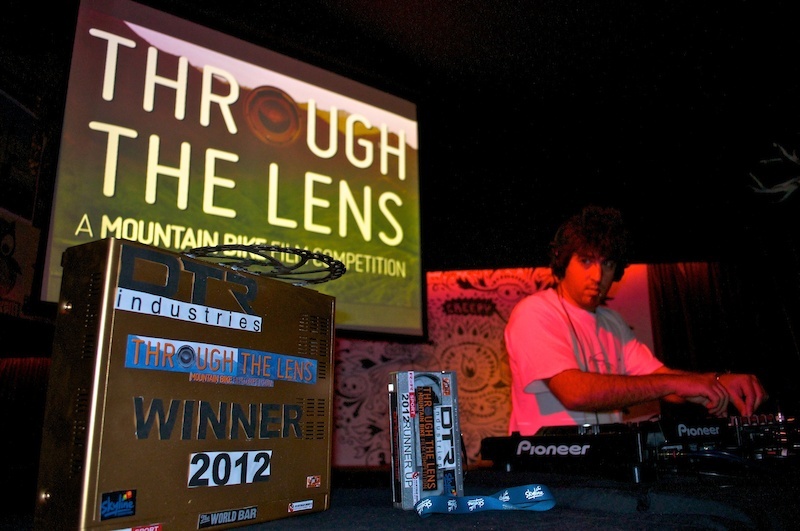 On April 3rd a jam packed World Bar played host to Queenstown's First Annual Mountain Bike Film Festival. Local filmmakers were asked to produce a video edit up to 7 minutes in length, shot exclusively in the Southern Lakes area of New Zealand. The final edits to make the cut were s mixture of funny, epic, and even super weird, featuring some well known local shredders as well as first time filmers just having a laugh. Taking home the big win was JonTV with his beautifully shot edit featuring Kelly McGarry and packed with banger shots all the way through, leaving Ginger Si and Pangs to take the Runner Up spot with their hilarious effort Huck Wizard. The evening was a great success, with what seemed like every biker in Queenstown at the screening and raised over $500 for the QMTBC to go towards future developments. Congratulations to all those who made it through the toil to get their edits completed on time. While the films may only last a couple of minutes, they're often the result of hours upon hours of hard work. The first edition of Through the Lens showed us that there was certainly demand for a good night of home grown content and you can rest assured that the things will only get bigger from here!